I should have realised this weekend wasn’t going to be a good one when my PS3 died last night – RIP PS3, you’ve been a good friend to me! After a poor couple of weeks I was hoping for better things today with the match on Sellicks. On getting to the venue I was a bit disappointed when I found out it was going to be split between Sellicks and Lily and I really can’t get on with Lily as you might have guessed if you read this blog regularly! There were six pegs on Lily with the rest on Sellicks, Pete had put some blue dye in both lakes again and they were both really bright blue! 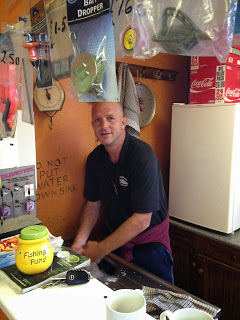 I had a coffee while waiting for the draw and as always, Adie makes a lovely cuppa! When he announced the draw I hung back and the first four anglers to draw all pulled out Lily, just two to go then! I waited until there were just two pegs left and Dave T pulled out peg 4 on Sellicks, very nice, in went my hand and out came peg 4 on Lily! I am cursed and just can’t seem to get away from it. Pete did say some more silvers had gone in and with only 10lb winning silvers on Sellicks in the week, I thought that was a possibility. I had the usual side bet with Glynn with the scores currently standing at 3-2 in his favour. I was basically in the middle of the lake with Bob Gullick two pegs to my right and Adie Bishop two pegs to the left. From what I could see, everybody would be going for carp apart from me which suited me fine. I was determined to just get my head down for silvers and even bought half a pint of maggots from the shop. I set up a 0.6 gram Malman pencil and a 10 x 11 MW F1 Slim, both had size 18 808’s attached to 0.10mm hooklengths. On the whistle I cupped in half a pot of micros at 10 metres angled to my right where there was a deeper hole and also straight out in front at the same distance and I also cupped some in at 5 metres. As usual the plan was to nick a couple of fish off each line before swapping or after a carp was hooked. 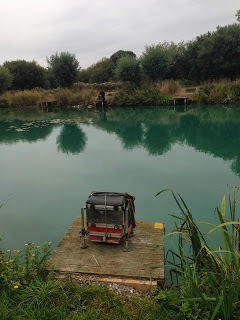 I started on the longer line to the right and missed a couple of bites on 4mm expander before losing a roach, I then had a small carp which saw me move to the other 10 metre line. A decent 6oz skimmer first chuck got my hopes up and I followed it up with a couple of blades. Adie was into fish straight away and netted a decent crucian and I was behind already, everybody seemed to be getting a few fish and after an hour I had four carp, that one decent skimmer plus a few smaller ones and probably had around a pound of silvers and I hoped for better things in hour two. The second hour was actually a carbon copy and I added four more carp, another decent skimmer and a few bits. Bob wandered down and asked how I was doing, he’d had a few carp plus bits so I felt I was doing okay. Adie and Mark Hanham on peg 8 were catching carp quite well and Rob Birch on peg 10 was getting odd carp but more worryingly he was getting some good skimmers on paste by the lilies. I was swapping between my three lines and getting odd carp and small fish but just couldn’t get any quality skimmers. Even with my fairly light elastic I was bumping off a few small skimmers and I lost a couple of foul hooked carp. With a couple of hours to go there was a tremendous crack from Bob’s swim and he snapped his top kit on a carp. Not long after he walked over to see how Sellicks was fishing which I thought must mean he was struggling. 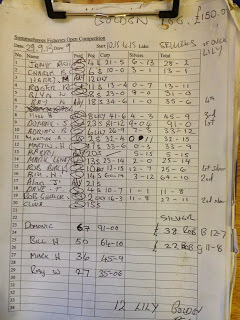 Harry M on peg 12 was also walking and on his return he said Sellicks was fishing hard with hardly any silvers caught. Bob got back to his peg and said the same and he reckoned 25lb might be enough to frame today. As I already had a dozen carp for probably 18lb plus about 4lb of silvers I started to think I might be able to sneak in. By now I had given up on the right hand 10 metre line as it had died a death and was just switching between my other two lines. I was still getting blades and the odd better skimmer plus carp but I had lost two skimmers and had a mad five minutes where I dropped off two roach and a blade. Rob was still getting some decent skimmers that looked to be bigger than mine and had finally stopped cursing them as vermin! He probably had ten or eleven but I was hoping I could catch enough small fish to cancel them out. I set my sights on 50 silvers as I thought at 2oz apiece that would give me around 6lb and with my better skimmers that would take it up to 8lb which I hoped wouldn’t be too far away. With an hour and a half left I was just fishing at 5 metres and added a couple more decent skimmers plus carp and blades. When the all out was shouted I had ended up with 53 silvers plus 15 carp and thought I must have about 27lb in total but would it be enough to sneak in? Bob walked down and said he’d fished for silvers and had a bonus crucian as well and was admitting to 8lb and I still thought it might be close. Adie was admitting to 25lb and I hoped I had a bit more. 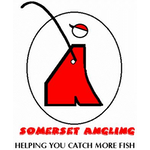 I took my box back to the car and caught up with the scales at Martin Addicot on Sellicks, he said he’d struggled but weighed 32lb 15oz, Dave T in peg 4 weighed 11lb 8oz and then Charlie Barnes had 3lb 1oz of silvers plus a few carp in peg 6. Glynn had 8lb of skimmers and 23lb of carp and I was hoping he’d frame, Roger Russell had 13lb 11oz in peg 11 before the scales turned left onto Lily. Bobby’s silvers went 11lb 8oz and I knew I didn’t have that and his carp weighed 16lb odd to give him 27lb 11oz. Then it was my turn and I was slightly disappointed when my carp only went 21lb 5oz and even more disappointed when my silvers went 6lb 13oz and I’d actually under estimated for once. My 28lb 2oz total saw me just pip Bobby and I tried to claim a pound for the moral victory but he wouldn’t have it! Adie had 26lb 9oz of carp and 7lb 3oz of silvers for 33lb 12oz and I knew I wouldn’t be picking up yet again. Mark Hanham went one better and into the lead with 45lb 9oz before we got to Rob and his carp went 12lb 15oz but his silvers went 12lb 7oz to go into the lead. It was a nice net of skimmers and bodes well for the future although Bob was most put out that he’d caught them accidently! Harry didn’t bother to weigh and the scales then headed back to Sellicks and I took the rest of my kit back to the car. At the results Dominic Sullivan had won yet again, this time with a level 91lb from peg 23 and he’d included 9lb 4oz of skimmers in that, so Sellicks hadn’t fished that bad then! He’s really on a roll at the moment and today’s victory was his fifth on the trot. 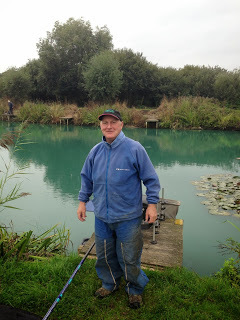 Bill ‘The Paste King’ Hopping was second with 64lb 10oz from peg 14 which meant Mark Hanham had finished third. So another disappointing day for me and I seem to have lost my way at Summerhayes, I must admit I’d still not a big fan of Lily although there were some decent silvers weights on there today. Saying that I was only 7lb off framing today and lost several carp plus those two decent skimmers and dropped/bumped off quite a few small fish, so it was possible today but then again I’m sure others lost fish too. 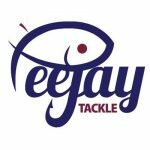 Next week sees the start of my river campaign and the signs are good with lots of small fish showing in double figure nets so come back next Sunday to see if my bad run continues or if I can get back to winning ways.